The California Association of 4 Wheel Drive Clubs, Inc. founded 1959, is a non-profit organization has actively promoted the advancement of vehicle oriented outdoor recreation. Today, the Association represents over 8,000 members and 160 member clubs. We are the largest organization of this type in the State and represent owners of all makes and models of 4WD vehicles, as well as non-owners who support responsible vehicle oriented recreation. Tread Lightly! is a nonprofit organization offering a variety of tools to help arm recreationists and the industries that serve them with essential outdoor ethics. Our mission is to proactively protect recreation access and opportunities in the outdoors through education and stewardship initiatives. Not only is Tread Lightly! the nation's signature ethics message for outdoor enthusiasts that use motorized and mechanized vehicles, but Tread Lightly! also offers unique training and restoration programs strategically designed to instill an ethic of responsibility in a wide variety of outdoor enthusiasts and the industries that serve them. The organization's goal is to balance the needs of people who enjoy outdoor recreation with our need to maintain a healthy environment and it's leading the way to help remedy current recreation issues. Just back down the hill from the High Lakes is Philbrook Lake. It is easy to miss on the way in, as you turn just 1/3 mile before, and would only see it if you happened to look left as you begin the climb up the hill toward the High Lakes. Many users who trailer their rigs, use the boat launch parking area to park their trailers and tow rigs. There is also a 20-site campground and a day-use area. 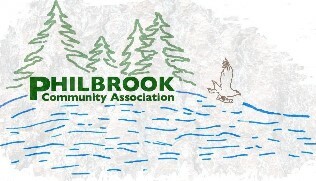 Go to http://www.philbrooklake.com and check out the Forum to find out what some of the locals are talking about. The California Off Road Vehicle Association (CORVA) is a varied group of outdoor recreationists who are extremely active in promoting the positive aspects of vehicular access on public lands and protecting that right. We are very active in the political arena and contribute to a lobbyist in Sacramento. We work closely with the State Department of Parks and Recreation, providing input to the Off-Highway Motor Vehicle Recreation (OHMVR) Program from the user's standpoint. We provide a valuable resource to land managers in the form of dedicated OHV enthusiasts who believe in responsible vehicular access. The All-Terrain Vehicle Association is the national membership organization for dedicated and enthusiastic ATV riders and owners. Whether you enjoy using your ATV for racing, trail riding, or back-country hunting, the ATVA can help you get more fun out of your ATV. Almost 15 years ago, Off-Road.com was started as a gathering for dirtbike nuts to talk with other crazies. A couple years later, they found the fanatics at 4x4Web. Since that fateful meeting, ORC has grown steadily in staff, content, readers and advertisers, until it's reached the position where it has become THE site for off road coverage that others can only aspire to. In 2005, Off-Road.com caught the eye of Advanstar Communications Inc, a world-wide company with a whole host of print magazines and trade shows. Having just launched a new Off Road Group with their flagship publication "DIRTsports", they saw Off-Road.com as a perfect fit in the family, and ORC was purchased - lock, stock and barrel. Over the years, we've expanded our interests personally and as a company, and now cover just about everything to do with off-road sports and events. Sierra Access Coalition (SAC) is a newly formed public group, composed of individuals, local businesses, and user groups, working primarily on the Plumas NF and in other areas in northeast California. SAC is concerned with the ongoing USFS 'Off-Highway Vehicle Route Designation' process and is working to protect forest access for the public. Off-Highway Vehicles (OHVs) include pickups, cars, 4x4s, motorcycles, quads, and other motorized vehicles, except for snowmobiles. 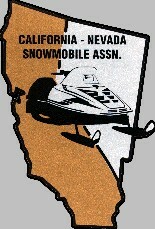 This organization is dedicated to the sport of SNOWMOBILING for club members, the environment and the general public. The American Motorcyclist Association is a U.S. organization of more than 280,000 motorcyclists that organizes numerous motorcycling activities and campaigns for motorcyclists' legal rights. The organization was founded in 1924 and now has more than 1,200 chartered clubs. It is the largest motorsports organization in the world, overseeing 80 professional and more than 4,000 amateur events each year. The AMA also maintains the Motorcycle Hall of Fame. Online Magazine about 4x4s, Jeeps, SUVs or 4x4 Trucks. Hundreds of articles on 4 Wheeling Parts, Accessories, Pictures, Photos, Reviews, News, Projects, Events, Trails, Competitions, and more.